Avalara moved into its namesake building last month, and next Wednesday Embassy Suites will open in the same new development at 255 S. King St. The towers, which share a podium, were designed by Freiheit Architecture (formerly Freiheit & Ho Architects) and built by SoDo Builders. American Life is the owner and developer. Tax compliance firm Avalara has about 450 employees on the top six floors of the 18-story Avalara Hawk Tower, which is on the south side of the complex. Avalara has about 114,000 square feet. WeWork recently announced it will take about 80,000 square feet on four lower floors. 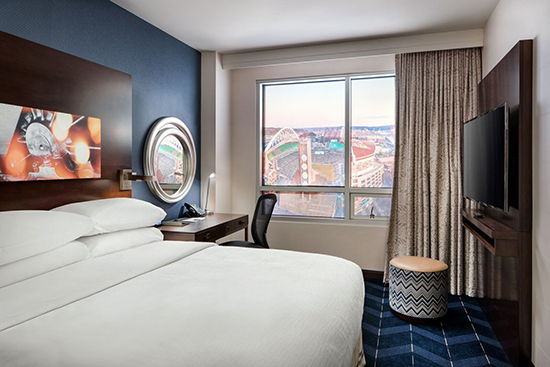 The 23-story north tower is the 282-room Embassy Suites. 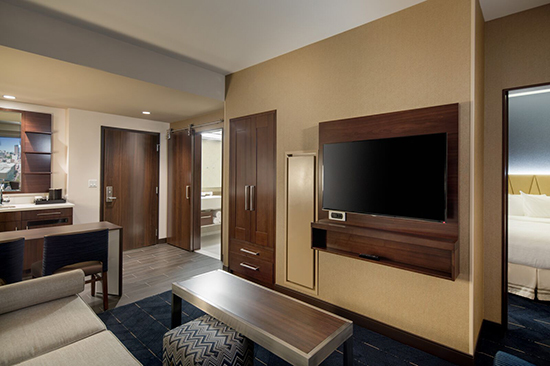 The mid-tier Hilton brand is about 35 years old, and has generally focused on suburban markets — and included their signature atriums. 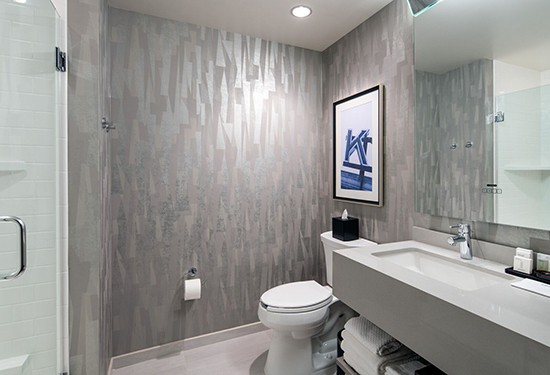 Its three prior local locations are in SeaTac, Bellevue and Lynnwood. The brand actually originated with Holiday Inn; it was acquired by Hilton in 1999; and private equity firm Blackstone finally swallowed Hilton in 2007. 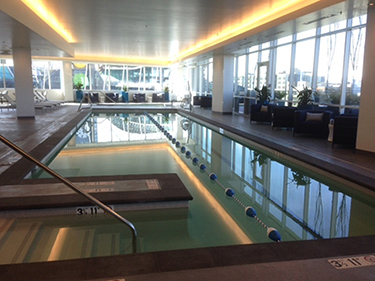 In the podium is a large fitness room and an indoor pool, available to both hotel guests and office tower tenants.